Each year I create a bucket list that is totally unrealistic and appears to be completely unbelievable. Yet every year, I figure out how to make it happen. I recently heard about a Valentine’s Day package that is so over-the-top that it could make up a year of bucket list adventures, travel, and romance in five days. 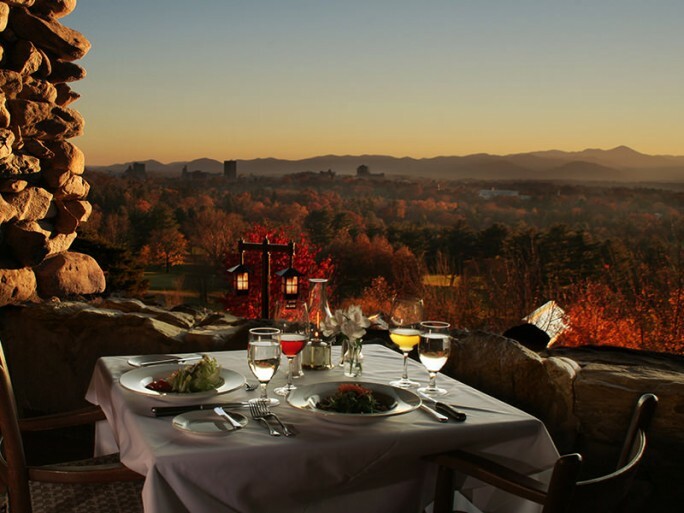 It’s called Spoil Me Rotten at the Grove Park Inn in Asheville, North Carolina. Celebrating its centennial in 2013, the historic Inn has long been a favorite of those enamored of indulgent hospitality, but how much is too much? What will you do for your Valentine this year? Grove Park is on my 2013 bucket list, but we’ll be opting for a less extravagant package. I guess I’m still on the hunt for a Valentine’s Day idea that fits perfectly for us. This entry was posted in Asheville, North Carolina, North Carolina Hotels, Travel, USA and tagged Asheville, bucket list, Bucket List Publications, bucketlist, Grove Park Inn, Lesley Carter, travel by lesleycarter. Bookmark the permalink. While I would love that for me, I would REALLY love to give that to my parents. They would love it. Heck, so would anybody. And, they deserve it. What an awesome package. Come on, Powerball! Eaten there. Nice place. Love the huge fireplaces. I haven’t been there before, but I’ve been hearing about it since I moved to the east coast. It must be spectacular. Thank you for sharing this…simply breath taking views. I’ve wanted to go there for almost 15 years! One day I’m going to get there! lol. You are not that far away. Lots of affordable motels all over the area. I suggest driving, the views can be awesome enroute as you reach the mountain areas. If you’re going to places the Obamas loved, you need to go to 12 Bones BBQ. Every time they come to town, they make sure to stop by! 🙂 The Obamas have definitely made Asheville “their” vacation spot for a couple of days when they can. They also went hiking on the Blue Ridge Parkway and loved that, too. Love it there. Been once as a speaker for a conference. What’s the weather like at the end of March? You never know what the weather is like at the end of March! I have lived here since 1997 and it’s crazy! We could have snow. We could be in flip flops. It’s best to bring clothing that you can layer. Here is a great site to check for a visitor’s guide http://www.exploreasheville.com/ and other info. You can order a physical visitor’s guide to have in hand or just use the guide. Lesley, don’t mean to highjack you…if y’all have questions about this beautiful town, though, I love where I live! Well I don’t need a lot of luxury to be spoiled by my romance partner. Darren and I try to make each other’s dreams come true daily rather than focusing on any one day. Personally, I’d prefer to spend several “cheaper” weekend away than one really extravagant one, but everyone has their own personal preference. I am more of a tent person with a teenager! My dream retirement getaway. Only room for two and no malls around. Although the camper can move out faster. Good idea. Yes! A short walk from the camper your in the wilderness, pitch the tent and you have the best of everything at your leisure. Sweet dreams are made of these………….wow! I have been a couple of times. It is an awesome place. Never stayed there, but hung out in the lobby for a while when I visited Biltmore. it’s definately a bucket list kind of a place. Asheville, how well I remember, all the beauty of Western North Carolina. Onto the Blue Ridge Parkway, Maggie Valley. One of my log-in passwords keys has a Asheville theme. I’ve hiked the mountain areas, waterfalls and caves. Along the trail where they filmed The Last Of The Mohicans where the female actress jumps off the ledge to end her captivity. Saw caves where American Indians lived to elude the US Calvary, during a locomotive train ride through a gorge in white water rafting country. What wonderful memories. We hope you consider accepting while there is no obligation to though we do hope you know we appreciate how you inspire us and we love your blog. I have family that lives just outside of Asheville and we have been up to see the Grove Park Inn. It is absolutely beautiful, another thing to do if you take a trip to Asheville is to see the Biltmore Mansion! My wife and I did the behind the scenes tour, and we were able to see an original Louis Vuitton trunk that was used by Gloria Vanderbilt herself! Thank you for the sharing of this spectacular place! On our vacation to Asheville, we camped in Pisgah (we’re not much for luxury I guess) but we spent time wandering around the Grove with our teenager and her friend. Asheville is on her list of vacations she’d like to repeat so keep it on your list and do it up right. I think everyone deserves a little extravagant indulgence once or twice in their lifetime. This one would be way out of my price range. The truth of the matter is though, those of us who can’t afford it would appreciate it much more than those that this is common practice for. A spark has arrived to tell a tale of fun and thrill and encourage others to enjoy the same experience. This is what you say in the vibration of your words. I do enjoy your words of excitement. My bucket list is actually to figure out a way to LIVE in Asheville. I love that area and have stopped in at the Grove Park Inn a couple of times just to take a walk through… it’s in a lovely location. And, sure, I wouldn’t mind spending $25k the next time I’m there, but, like you, I’d rather it be on THEIR dime! LOL Good luck with that! Oh my! How beautiful! I enjoy all of your posts, especially this one. My family often travels to North Carolina. The beauty of nature and the traquility of the mountains..you can’t beat it. I’ve been to Asheville a few times, but this place makes me want to go back, just for R&R. Have fun when you go! And keep us posted! It looks like I will be adding this to my bucket list too. Thanks! Oh my god, I am at week 29 of this pregnancy and truly would be okay with a day at a totally pampered spa where they would make me feel like these 24 lbs of newness, breaking hair, yuck skin and hip cramps don’t exist…along with a beautiful view from a hotel room and a night of delicious room service with my husband…. Oh that would be fabulous! The sights are fabulous! You’ll have a wonderful time!! I am putting this on MY bucket list now too! I love the Carolina’s. May move back there someday. Great post. Thanks for sharing. I live in Asheville. There is so much to do here, not sure this would be on my Top 10 list. I much prefer the smells of a wooded trail or swimming in the French Broad River. Blossom takes lots of photos of our hikes if you want to see more of the area. I lived on the eastcoast for about 20 years of my life. The other 30 were international or the west coast! I love Ashville and have been to this place you mention. This would be fun for anyone! You amaze me with your enthusiasm..It is contagious! I’ve been to Grove Park Inn several times, and if any place can spoil you rotten, this place can. That’s good to hear! I think we’ve going to book for the second weekend in Feb. It will be my first time there. What do you like the most about the hotel/area? What about thoughts for those of us with Asheville budgets in the few hundred dollar range? I’m booked for April!! Only these pictures can capture all the details my words cannot. Awesome. Drat, my Valentine’s Day is already booked. Teehee. Hope you get to Mt. Mitchel, Maggie Valley and Chimney Rock, which defies nature. How long will you stay? Beautiful land and views. Pricey, but definitely a nice place to visit. how amazing! maybe next year! We almost got married here. It is a gorgeous gorgeous place!!! I’m doing the poor man’s version of that for my honey this year. I found a great deal on a boutique hotel in downtown Chicago ($139/night plus free parking with in and out privileges? SOLD! ), so I’m putting together a little travel packet with a bunch of vintage Chicago postcards of various places we could go while we’re there. He’ll get the little travel dossier the night before so he can figure out where we’re going – then Friday we’re off to the city! My sister and her husband won a weekend there for winning teacher of the year award in NC a few years back. Such a great idea to pamper our best teachers! I hope Grove Park Inn is still doing that. Wow! That would be an amazing experience. Our Valentine’s Day will be far less extravagant as we are saving hard for our forthcoming trip to America, we will just have dinner and maybe watch a DVD with a nice glass of wine. The Grove Park Inn is amazing and would make a very romantic getaway. If you go there, plan on spending time at the spa. Another really great option in Asheville is to stay in one of the B&Bs in historic Montford. They are old Victorian houses that have been restored and are gorgeous. 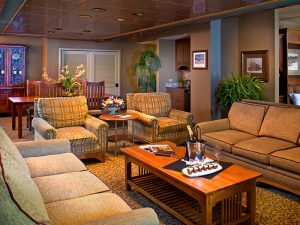 You can stay there for about $200 a night, and then you are walking distance to downtown. You hit the nail on the head with that suggestion. So right. We stayed there on our honeymoon in Dec of 2006 and loved it. You must splurge and use their spa. It’s amazing! Hope you guys have a blast. My sister lives in Asheville (I’m about an hour away) and her boyfriend (now the manager @ The Chocolate Fetish… OMG so so so good) used to work at the Grove Park Inn and I had NO IDEA they ever offered anything like this!!!! That is completely insane. It’s kind of hard to imagine a trip to Asheville without a weekend full of tromping around the city in either boots or flip flops. Spa? What is this you speak of? Anyway– it’s one of my favorite cities EVER.